Symetrix has hired Millar Electronics as its rep in the Southeast region. The North Carolina-based distributor will cover North Carolina, South Carolina, Georgia, Tennessee, Alabama, and Mississippi, where it has a deep history and a well-established network of connections. Symetrix manufactures a wide range of DSP solutions for the installed sound market, from turnkey Jupiter processors to Dante-based, open architecture Radius and Edge processors. 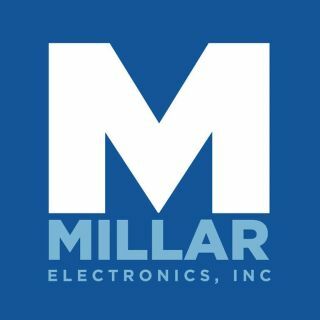 Millar Electronics was founded ninety years ago as a components company selling capacitors and resistors. Over the decades, it grew with the times to become an audio and video manufacturers rep firm. "Millar Electronics has built its success on relationships," said Craig Richardson, vice president of global sales with Symetrix. "When I talk with people who do business with Millar Electronics, they always relate the trust they have in the salesmen they work with. Those salesmen are always out in their territories, talking with their clients, and keeping on top of what's going on. They help their clients make the right choices for success now and in the long run." "We're excited to work with Symetrix," said Pete Petty, sales manager with Millar Electronics. "Symetrix builds cutting-edge DSP solutions, and its Edge and Radius products use Dante as a networking platform. Of course, Dante is becoming a big part of the industry, and Symetrix' native Dante capacity will work hand-in-hand with a lot of the other equipment we represent and provide our clients with a complete solution. Moreover, great people work to make Symetrix what it is, and, having personally worked with them before, I know they'll make it easy for us to go out and do our job. We're looking forward to delivering a substantive increase in Symetrix' market share in our territories."